Developmental biology has taken a step further in understanding the connection made between the placenta and fetus by testing a hypothesis that involved slowing down the growth of one limb on an animal. Scientist Alberto Roselló-Díez used laboratory raised mice to test out his hypothesis by genetically manipulating the cells of a fetus in a petri dish. He then inserted the genetically modified cells into the mouse’s back left leg. A deeper look at Díez’s work explains that he uses a “p21” suppressor which is also known as an “antiproliferative”. In doing so, Roselló-Díez is suppressing chondrocyte cells (found in cartilage) from forming, thus preventing the mouses bones from lengthening. In response to the cellular suppression, the nature of the fetus’s growth as a whole slows down to the growth rate of the left hind leg; putting me in the mind of the phrase- “no man left behind”. 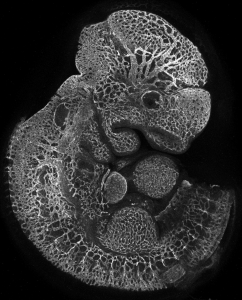 This is described to be a “compensatory mechanism”, in which the entire fetus makes up for the compromised development of the mouse to keep it’s symmetry. You might be wondering- “how does the placenta play into this?” Apparently, the cells of the placenta systemically communicate to the tissues of the other limbs, and warn them to “SLOW DOWN!” Therefore the fetus of the mouse relies on biological signals from the mother’s placenta. All in all, minimizing the growth rate of limbs is intriguing because it leaves me wondering the extent of the experimental purpose. Will it be that in the future we will use the p21 suppressor on human fetuses? Will this study lead to a breakthrough for unanswered cosmetic and orthopedic phonomena? These questions are yet to be undertaken by developmental biologists and maybe even doctors. Our conventional knowledge of genetics dictates that the activation of genes in our DNA is random. It is equally likely that our body will express our mother’s alleles as it is that our body will express our father’s. In the case that one parent donates a defective copy, it will be silenced; the other parent’s healthy set of DNA takes precedence and becomes activated. However, a new study indicates that gene expression and activation is not as random as we thought. In certain regions of the body, our genes demonstrate preferential expression. A team of scientists at the University of Utah found that almost 85 percent of genes in juvenile mice brains displayed preferential treatment. The mice brains activated one parent’s set of DNA over the other’s. This phenomenon was observed in other areas of the body, as well as in primates. Although the preferential expression came to a close within ten days, it could provide explanations for vulnerability to brain diseases such as schizophrenia, ADD, and Huntington’s. 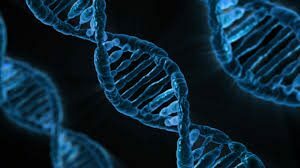 The temporary preferential treatment to one parent’s copy of DNA could trigger a host of problems specific to that cell site that lead to such disorders, if the parent had given a defective copy of genes. The study has the potential to alter our basic understandings of genetics, and how we are more prone to certain specialized diseases. 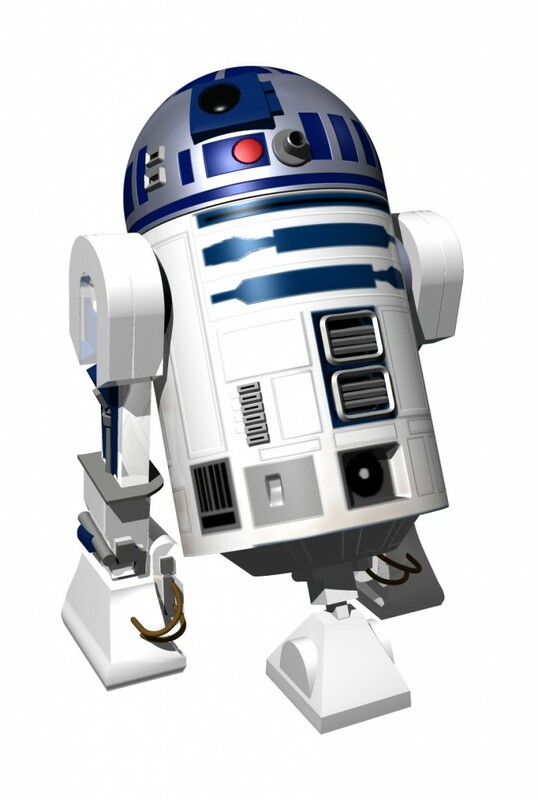 R2D2 may be a heroic Star Wars character but in living animals it is a piece of DNA which violates laws of both genetic inheritance and Darwinian evolution. It has swept through mouse populations by mimicking helpful mutations when in fact it damages fertility. These new findings, described in this article by ScienceNews, propose that even genes that are dangerous to an organism’s evolutionary chances can trick their way to the top. This is a warning for scientists looking for signs that natural selections has picked certain genes because they offer an evolutionary benefit. What looks like survival of the fittest may actually be a “cheater” prospering. 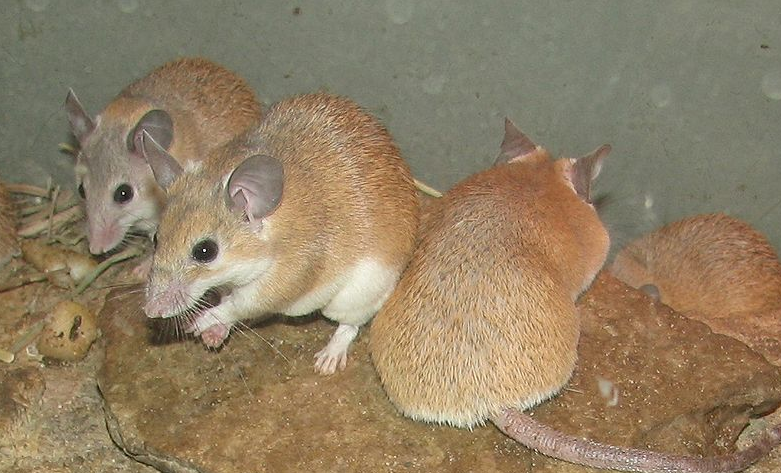 Geneticist John Didion and colleagues examined DNA samples from wild mice from Europe and North America to determine how widespread R2d2 has become. The proportion of mice with the selfish gene more than tripled in one laboratory population from 18 percent to 62 percent within 13 generations. 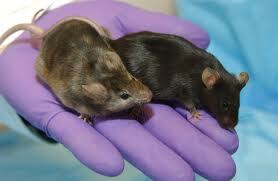 In another breeding population, R2d2 shot from being in 50 percent of the lab mice to 85 percent in 10 generations. By 15 generations, the selfish element reached “fixation” — all the mice in the population carried it. The rate of spread was much faster than researchers predicted—it was projected it would take 184 generations for the selfish DNA to spread to all of the mice. R2d2 is a “selfish element,” a piece of DNA that causes itself to be inherited preferentially. It is a stretch of DNA on mouse chromosome 2 that contains multiple copies of the Cwc22 gene. When seven or more copies of that gene build up on the chromosome, R2d2 gets “selfish.” In female mice, it pushes aside the chromosome that doesn’t contain the selfish version of the gene and is preferentially placed into eggs. This violates Gregor Mendel’s laws of inheritance in which each gene or chromosome is supposed to have a fifty-fifty chance of being passed on to the next generation. 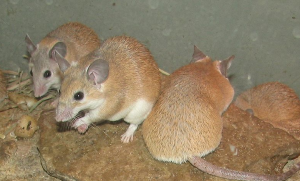 But there is a cost to R2d2’s selfishness: Female mice that carry one copy of the selfish element have small litter sizes compared with mice that don’t carry the greedy DNA. The loss of fertility should cause natural selection to sift out out R2d2. But the selfish element’s greed is greater than the power of natural selection to combat it, as the lab experiments show. But based on further lab experiments, researchers may have found that even this successful cheat can get caught. These other results revealed a relatively low proportion of wild mice carrying R2d2. Evolutionary geneticist, Matthew Dean says this could mean that some mice have developed ways to suppress the gene’s selfishness. There is still much more research to conduct on this topic. 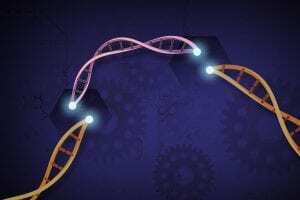 A study conducted at MIT tested the effect of human Foxp2 gene on mice and observed their ability to navigate through a maze. 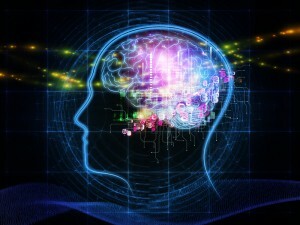 Foxp2 is found in both mice and humans, but the human form of the gene is related to learning and language but it has been hypothesized by neuroscientist Ann Graybiel of MIT’s McGovern Institute for Brain Research that perhaps the human gene is related to sub-conscious actions based on environmental cues. The maze lead to a pile of food, and throughout the maze the scientists placed visual and sensory cues that lead to the end of the maze and to the food. At the end of the study, the results showed that the genetically modified mice would complete the maze 3 days faster than the wild, control mice when visual and sensory cues were both involved. The significance of the study is the potential connection between specialized learning and the Foxp2 gene. Although the difference between learning how to run a maze and leaning how to speak is massive, tests like this one are the beginnings to analyzing the true significance of Foxp2. Scientists at Wake Forest University have discovered that the hair protein Keratin has been shown to speed up the regeneration of nerves in mice. When nerve function is lost, the best option is to use a nerve graft from another part of the body, however this is an issue because it creates another wound site for the patient, which may not be tolerable due to ones condition. In an attempt to create another means of regenerating nerves, Dr. Mark Van Dyke and his team of researchers began to test the Keratin protein (which is found in hair follicles). To test Keratin for its regenerative properties, Dr. Van Dyke used human hair collected from a barber shop and removed the Keratin from it. They then purified it and created a gel out of it to fill nerve guidance conduits. In order to study how effective the protein was, they studied the Schwann cells. Schwann cells are important in this experiment because they create signals that begin nerve cell regeneration. The results of this experiment showed their hypothesis to be correct, the use of Keratin greatly increased the activity of the Schwann cells. After this proved to be true, the scientists used a keratin-filled tube to try to repair a large nerve gap in mice (about 4 millimeters). The animals treated with Keratin were compared to animals treated with a nerve graft, and animals treated with a placebo. after 6 weeks, the entire keratin group showed visible regeneration, versus the placebo group who had about 50% show signs of regeneration. In addition, the speed of repair for the keratin group was much faster the other groups. 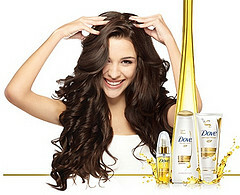 The results of all of his tests proved his hypothesis of the uses for keratin. “The results suggest that a conduit filler derived from hair keratins can promote an outcome comparable to a grafted nerve,” said Van Dyke. A research group led by Martin Fussenegger, a professor of Biotechnology and Bioengineering at the Swiss Federal Institute of Technology, has developed a method by which brainwaves control the creation of proteins from genes. The technology wirelessly transfers brainwaves to a network of genes that allows the human’s thoughts to control the protein synthesis of the genes. The system uses a uses an electroencephalogram (EEG) headset, which records and transmits a human’s brainwaves and sets it to the implant in the gene culture. 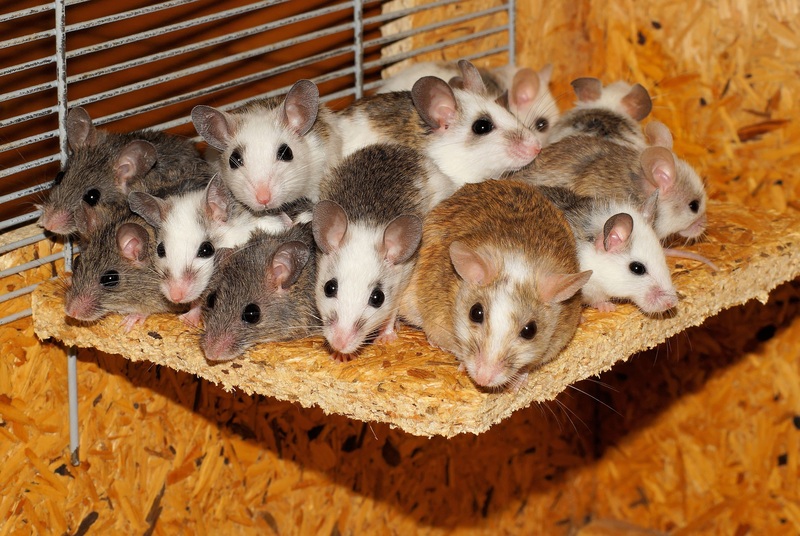 A successful experiment of the system included humans controlling gene implants in mice. When activated by brainwaves, the gene implant culture would light up by an installed LED light. The researches used the human protein SEAP as the protein that would be generated in the culture and diffused into the blood stream of the mice. The humans were categorized by their states of mind: “bio-feedback, meditation and concentration”. The concentrating group caused an average release of SEAP. The meditation group released high concentrations of the protein. Finally, the bio-feedback group produced varying degrees of SEAP, as they were able to visually control the production of the protein as they could view the LED light turning on and off during the production process. The LED light emits infrared light, which is neither harmful to human nor mice cells. The system proved successful in its ability to translate brainwaves into gene control and protein production and its potential for harmless integration into the living tissue of humans. The research group hopes that in the future a thought-controlled implant could help prevent neurological diseases by recognizing certain brainwaves at an early stage of the disease and translating the brainwaves into the production of proteins and other molecules that would work to counteract the disease. A research team at Oxford University recently conducted a study to determine what conditions are more likely to trigger an allergic reaction to nuts in mice. The team used roasted peanuts and raw (regular) peanuts, purifying the proteins from both and then introducing the 2 types of peanut proteins multiple ways. The response was shocking: the mice who were exposed to dry roasted peanut proteins had many more immune responses than the mice exposed to raw peanut proteins. This “immune response” closely resembles a human allergic reaction. The actual act of roasting peanuts seems like it wouldn’t change much other than taste, but the science of the act shows that with heat, the proteins are chemically modified. The common concept of enzyme performance being altered by changing the temperature or pH applied in this experience. Peanuts contain the enzyme Cyp11a1, a recurring link in allergic reactions. When heat was applied to the protein of a peanut, the enzyme’s shape changed and therefore the active site was altered and the enzyme was unable to perform its function. 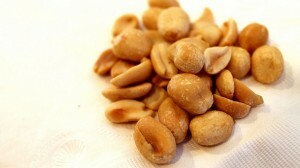 Therefore, an allergic reaction to the heat-modified (roasted) nuts was more easily triggered. Being someone who suffers from a nut allergy (I know, I’m missing out on Nutella), I found this article very interesting because I’ve experienced certain situation with inconsistent reaction triggers, and I’m curious as to what they might be. I also found the geographical link regarding the allergy outstanding – the Western population of nut allergies is reportedly much higher than that of the Eastern population, but in the article, the distinction is made that as Westerners, we tend to eat our peanuts roasted/dry-roasted, whereas the Eastern population is likely to eat their food raw. Recently in our AP Biology class, we read about advances in stem cell research. Important developments began with experiments involving mice. The scientists were able to generate induced pluripotent stem cells from mouse fibroblasts and were later able to generate iPS cells from human fibroblasts . 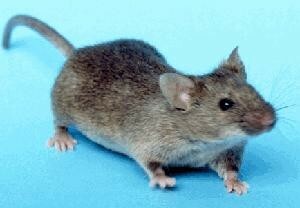 The research as been extremely helpful and scientists were able to learn a lot through the mice cells. It turns out mice are useful for many other avenues of medical research. “Mice have become a critical tool in the quest for new drugs and medical treatments because their genes are remarkably similar to a person’s”. Mice affected with various human ailments, such as “obesity, diabetes, cancer and countless other conditions are being used to study both the illnesses themselves and potential treatments”. The latest “mouse sacrifice” for society involves cigarette smoke. We know that cigarette smoke heavily damages the lungs but scientists and doctors have long wondered what it does to the brain. There is an established, but “murky”, relationship between cigarette smoking and Alzheimer’s. A recent study with mice inhaling cigarette smoke significantly strengthened the suggested relationship. Scientists led by Claudio Soto of the University of Texas Medical School at Houston exposed mice to cigarette smoke for four months. These exposed mice all showed signs of Alzheimer’s. 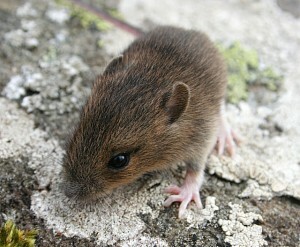 Additionally, mice were bred with Alzheimer’s and then later exposed to cigarette smoke. These mice exhibited significantly worsened Alzheimer’s symptoms. This sort of research proves extremely beneficial to humans and will most likely continue to become even more popular. Already, there are as many as 25 million mice used for medical research each year. It seems as though we will have many mice to thank in the future. Recently, researchers at Kyoto University in Japan were able to induce stem cells of rats to become viable eggs, which were then implanted in surrogate mothers. The resultant offspring were fertile, anatomically intact rats that were bred for additional generations, their ancestor being only a cell in a petri dish. This discovery has excited scientists the world over because it marks the first step towards making eggs for infertile humans or gays and lesbians. The scientists at Kyoto began by taking female embryonic cells and “induced pluripotent stem cells”, and then inducing them to become an early form of eggs. Induced pluripotent stem cells (iPSCs) are adult cells that have been reprogrammed to express certain genes that make them effectively embryonic cells. There is some debate as to whether iPSCs differ from embryonic stem cells taken from harvested embryos, but in this instance they acted identically to the conventional stem cells. The immature eggs, called “primordial germ-like cells” or PGCLCs, were then surrounded by “female gonadal somatic cells” (cells usually found in an ovary) to create a reconstituted ovary. These constructed ovaries were implanted into surrogate mothers, where the PGCLCs matured into “germinal vesicle-stage oocytes” or early embryos formed during the primary oocyte stage of oogenesis (egg formation), which occurs before birth. The mice that had been implanted with these constructed ovaries eventually gave birth to fertile offspring, which were followed by a few additional generations. Though scientists have called this discovery a major step forward in reproductive biology, the lead scientist on the Kyoto team, Dr. Hayashi, cautioned: “it is impossible to immediately adapt this system to human stem cells” for a number of reasons scientific and moral. Creating egg cells from stem cells in humans could allow menopausal women to conceive, which brings its own set of moral quandaries as well. Ronald Green, a bioethicist at Dartmouth University, commented on NPR that one had to consider “the commercial possibilities of people selling to infertile people babies produced from George Clooney or Jennifer Aniston.” Evidently, the possibility that egg manufacture might one day be possible has sparked heated debate, but one must remember that it may only be speculation. 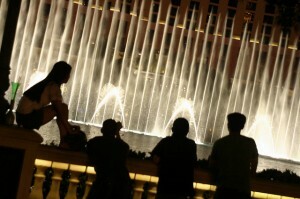 How would you feel if you discovered that your doctors may have found a real fountain of youth? Well thanks to researchers at the University of Pittsburgh that could someday be a reality. Dr. Laura Niedernhofer and her fellow researchers have discovered a way to slow down aging, for mice at least. To conduct their experiment the researchers bred a line of mice with progeria, a disease found in chickens that rapidly increases the aging process. Normally once a mouse contracts this disease they have only a few days left to live. After the addition of stem cells as well as some progenitor cells (a similar type of cell) the mice survived up to 66 days. Now don’t worry its not only some rare poultry disease that this study shows help for. Mice with mild cases of progeria showed geriatric symptoms similar to those that older humans show, weak leg muscles, walking hunched over and trembling and saw a dramatic improvement. In fact 75% of the symptoms the mice were experiencing were relieved with only two injections of the stem cell mix given over a period of a few weeks. Imagine if 75% of an aging human’s symptoms could find relief! These mice also appear to be showing evidence that the new stem cells didn’t replace their aging stem cells but rejuvenated them as they saw improvement in the brain’s of these mice although the stem cell mix was injected into each mouse’s stomach. 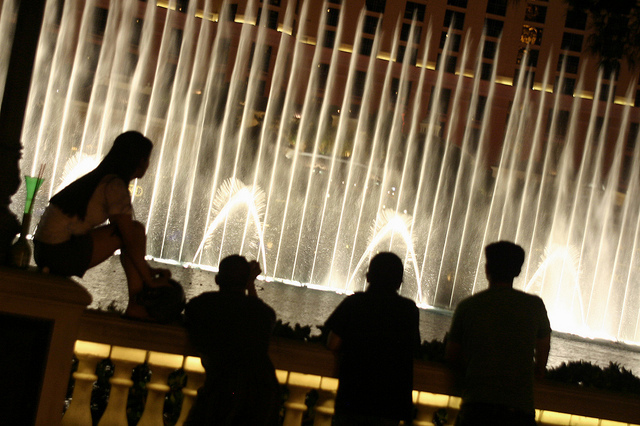 It’s too soon to tell if this stem cell therapy will be able to help humans, but if it did we may have found a real fountain of youth. For years the scientific community has been fascinated by the phenomena of snakes, such as pythons, eating massive meals at one time and breaking them down slowly over time. 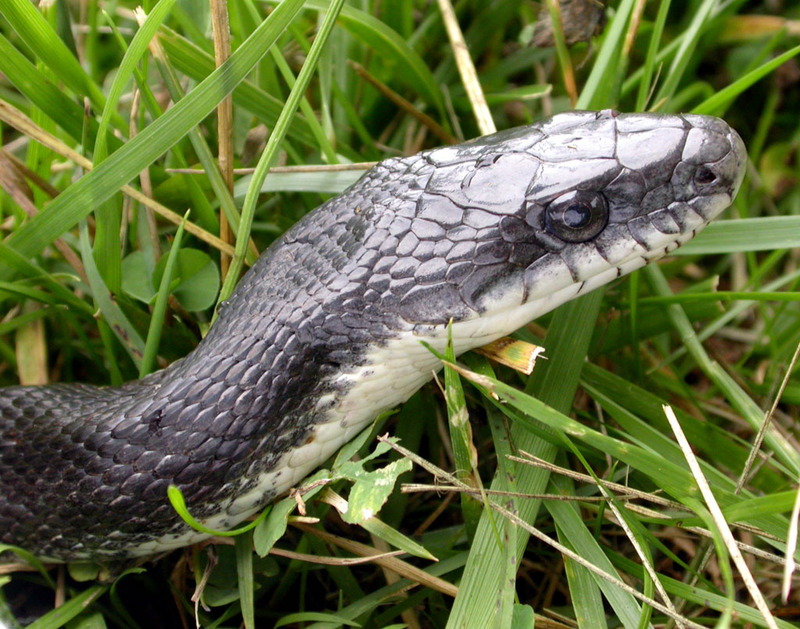 Now thanks to a study by Leslie Leinwand there is an answer to how pythons manage this feat. 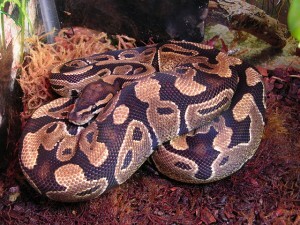 After the python eats its organs swell up to two times their size to accommodate this massive amount of digestion. But what could cause an organ to swell this much? Leslie and her team have an answer to this as well, fatty acids. When they drew the snake’s blood after it ate they report that the blood was so filled with fat that it was opaque and it “looked like milk”. Leslie and her team have not stopped their research here, in fact they learned that when they take three of the fatty acids found in the blood of these pythons and inject them into a living mouse the mouse’s heart will grow just like the pythons did. An exciting, cutting-edge approach to HIV prevention is quickly gaining support, as researchers have been learning about special antibodies that have destroyed HIV in the lab. Now, biologists at Caltech have taken the next step, as they have discovered a way to insert these antibodies into mice, thus protecting them from HIV infection. This new approach to HIV prevention — called Vectored ImmunoProphylaxis, or VIP — is outlined in the November 30 advance online publication of the journal Nature. This new technique in HIV prevention is revolutionary, as supposed to traditional methods that centered on developing a vaccine that would provoke the formation of antibodies or T cells in the body, VIP provides protective antibodies directly. Mice treated with VIP have been shown to produce high concentrations of the protective antibodies throughout their lives, and remain protected from HIV when it is administered intravenously. What do you think? Will the VIP method be successful in humans, and will HIV and AIDS finally be conquered? Is Type 1 Diabetes Curable? Right now, on Grey’s Anatomy, one of the plot lines involves Type 1 diabetes and mice. Dr. Miranda Bailey is performing a trial, attempting to create a device with a molecule that can be placed in humans to cure diabetes. She is using mice as the trial guinea pigs. This sounds crazy! However, this same trial is being done in real life! and kills the chances of early signs of diabetes in mice becoming Type 1 diabetes. However, if the mouse already has Type 1 diabetes, the treatment is not as effective in getting rid of it, for it has already found a home in the body. In reality, this molecule called glyphosphine is only a preventative molecule, one that can save people who have had diabetes in their family history, or are just unlucky with symptoms of a future diagnosis. This trial has been published in the Journal of Immunology and gives hope to doctors working to fight Type 1 Diabetes. The clinical trial is to be performed on humans throughout the next five years.